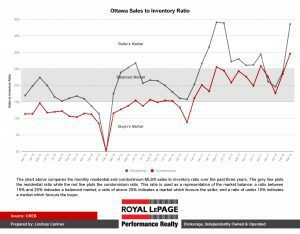 Why Bidding Wars in Ottawa – March 2018 Sales Stats for Ottawa – how do we compare to last year? As you can see from the above chart the residential or freehold sales are up significantly price wise over last year – this is somewhat due to the shortage of listings. If you look at the graph above the red bars are 2018, and the grey 2017. The change is significant and has resulted in a multitude of bidding wars on properties and sales prices often over the asking price. 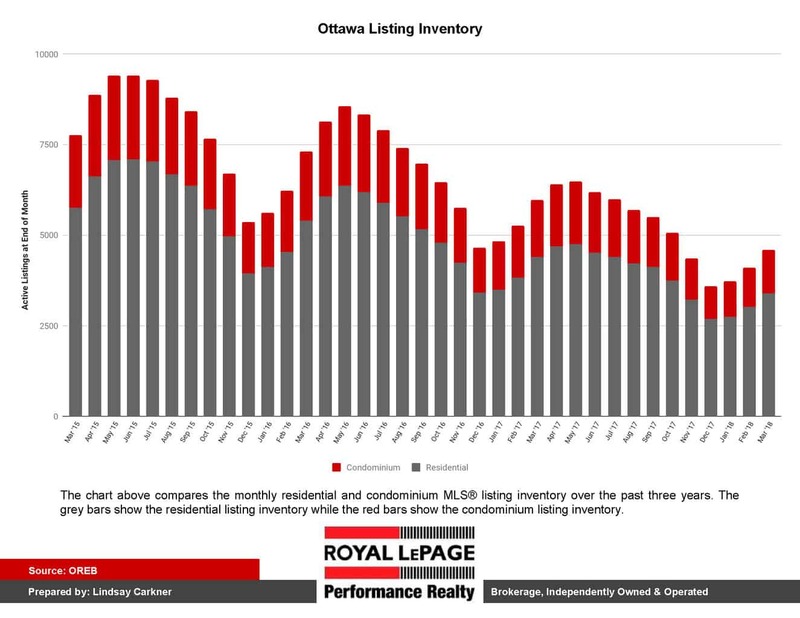 As the number of listing has been lower and the number of sales higher this is forcing up the prices in many locations. The time properties are taking to sell is also shorter. 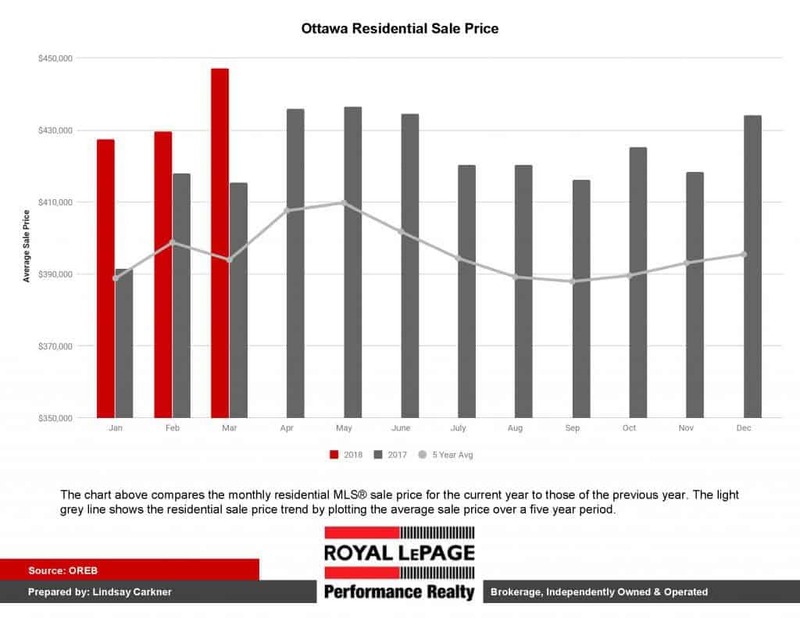 Click the link below to view the complete stats for the month of March – prepared by Royal Lepage Performance Realty. Or scroll down and click on the individual composite graphs to view. 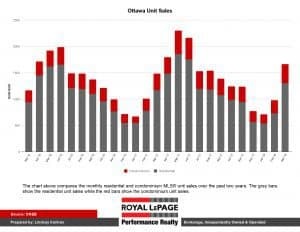 You can also take a look at our review of List-To-Sale Prices, and our Ottawa Real Estate Market Report for March 2018 infographic. 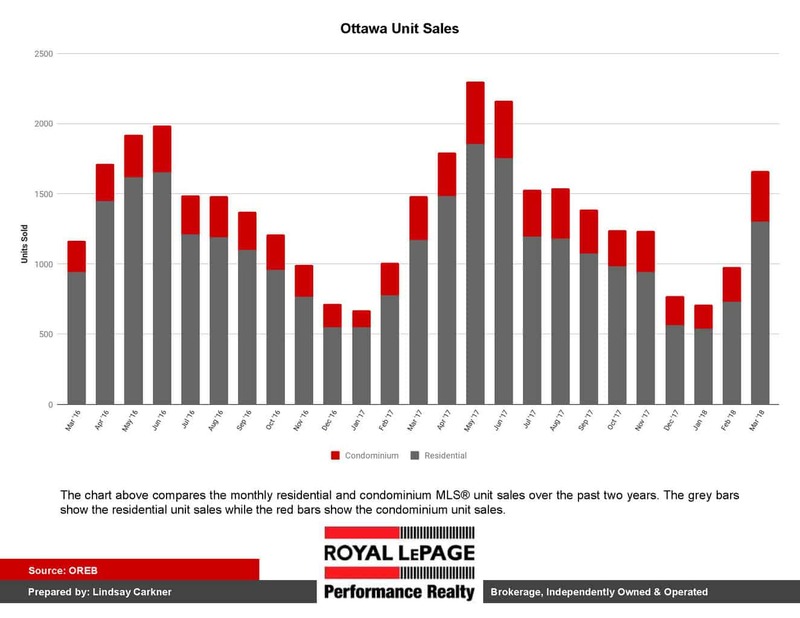 Condos have also seen an uptick in sale prices over last year for February and March and a shortening of the selling time. Similarly the number of listings available for sale is lower than 2017. 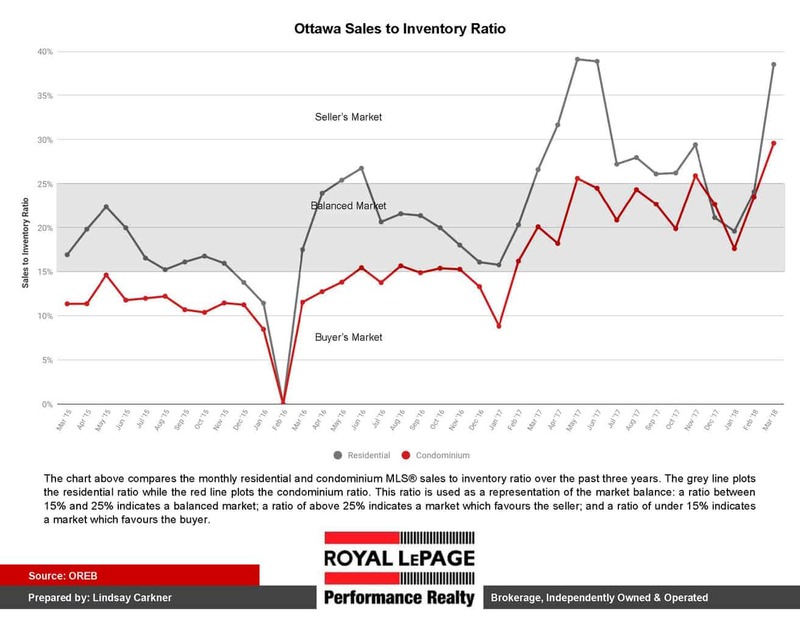 Ottawa Sales to Inventory Ratio shows that we’ve just now moved from a balanced market to a sellers market as we moved into march in both the freehold and condominium market and very much into sellers market in the freehold. For extra details and more charts click the link below.